Chris had been with Torquay United, Dawlish Town, Barnstaple Town and then Torquay United again before he signed for Dundee United. After a short run in the first team he was relegated to the reserves, and he went back to Torquay United on loan. 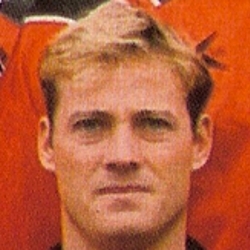 His progress at Tannadice was further hindered by injury and he left to join Scarborough in January 1996. Chris was born on this date in Yeovil, England. Douglas Park was the scene of an igniminious League exit four years ago and Accies gave little away and made us fight to the bitter end before we finally edged through thanks to a goal in extra time. Chris Myers made his Tangerine debut in a game which took a long time to come to life. All of what little first half action came in a spell immediately prior to the interval and Gary Bollan, who'd replaced the injured Maurice Malpas was the prime motivator in awakening the game from its slumber-like opening. First his first time volley was deflected for a corner and when the the ball came over Ferguson pulled off a fine save from another Gary Bollan volley. 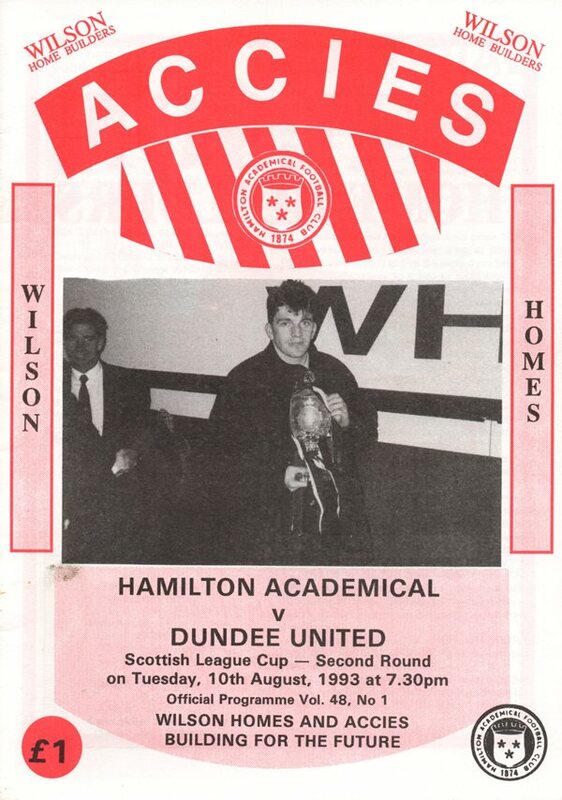 After the poor showing at Tynecastle, the Tannadice line-up showed considerable change. Into the side came Billy McKinlay, Brian Welsh, Paddy Connolly and Jerren Nixon.